Whenever you greet the most important people in your life, do not forget to tell them “Happy Mother’s Day!” You can do this with a short call, a text, or a letter—or with a bunch of flowers. If you do this you will be the best person in the world because paradise is under the foot of a mother. Love you Mom! My mother’s life was more complicated than mine today. She lost her mother when she was a baby and she grew up with a stepmother. But in some ways, her life was better than ours because there was less discrimination of boys and girls. She is educated and literate; she had the chance to study and to learn. There was no dress code when she was growing up. The girls and women could wear whatever they wanted and do whatever they wanted, and study whatever they wanted. All this has totally changed and I wish we had the same Afghanistan as then. We don’t have any discrimination in my family, but we have it in our society. I admire my dear mother. She is incredible and she always stands by me. She enrolled me in one of Afghanistan’s best schools, though no one agreed with her. People said bad things, but she ignored them. She helped me with my lessons and my life. When we have exams, she does all the housework for us. She says: “You study your lessons, and I am going to work.” She wants me to be a perfect English speaker. I want her wishes to come true so I work hard and I’ll make my mother proud of me. One day I want to make her feel like the happiest woman in the world. When I compare my childhood with that of my mother, there is a big difference. When my mother was only three or four years old there was security. She could go to kindergarten and to school. But when I was three, there were no kindergartens for children. Fortunately we were able to immigrate to Pakistan and I started school there. I appreciate God for giving me such a beautiful gift as my mother. I respect her for as long as I will live in this world. My mother has played a large role in my becoming what I am today and who I will be in the future. She provides me with power and energy; no matter how bad of a day she has, she always is there to listen to me. She is calm and she gives me a hug and no matter what the scenario is, she makes me feel better. My mother has always encouraged me to reach my full potential and seek my dreams. She is like the voice of reason in the back of my head, which helps me get through my bad days and make my good days even better. She is the one who truly helps. My mother is the love of my life, my inspiration, and my very close friend. I think of mothers as a gift for children—they sacrifice themselves to kids and family. Mothers teach children their first words and offer their hands to help their children learn to walk. For me, the word mother means affection, love, and sympathy. 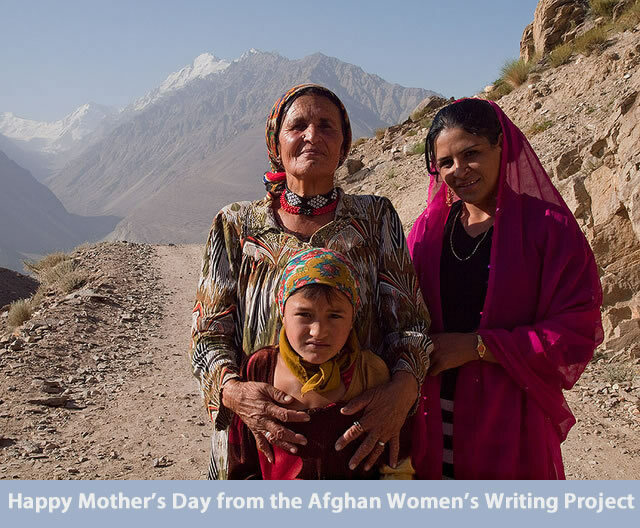 Wonderful work everyone — such beauty and wisdom in your descriptions of strong, important mothers! Thank you for writing these lovely pieces.